The BrilliantlyMad Collective branched through many events and projects over the past 20 years. It was initially created as an open platform to spread positive messages through vibe patrol at huge rave parties, collaborating on underground events, publishing a magazine and documenting the scenes with photos and videos throughout 1998. The idea of BrilliantlyMad can be seen as balancing our oneness with the universe through both dual and non-dual philosophies. 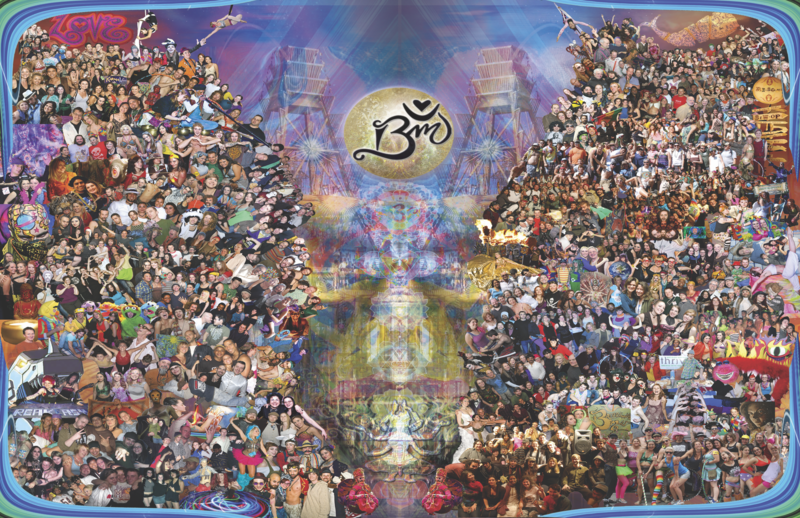 We have reignited our platform with love through art, music, spirituality and well-being. We strive to enhance people's life experiences and provide a beacon of light in a world with much darkness. Through social events, web presence and print publications we have been uniting humanity, spreading positive vibrations and embracing the theory of balance and equilibrium in the universe. Knowing both your Brilliance and Madness is the key to opening compassion and harmonizing your life. As we draw into 2018, continue to be aware of and draw from lessons learned over your life time. Integrate these into your existence. Whatever you would like to become, this is your opportunity to make that a reality. Don't let old patterns lead you. Instead be gold and set yourself on the path most true for your divine potential. Let's continue to release what does not serve us and expand the perspectives that open creative dialogue and awareness through wisdom. In the coming year we will unite our visionary senses so that together we become teachers of the grandest kind, shaping the communities we live in and changing the world one voice at a time. BrilliantlyMad. . .aren’t we all? ?